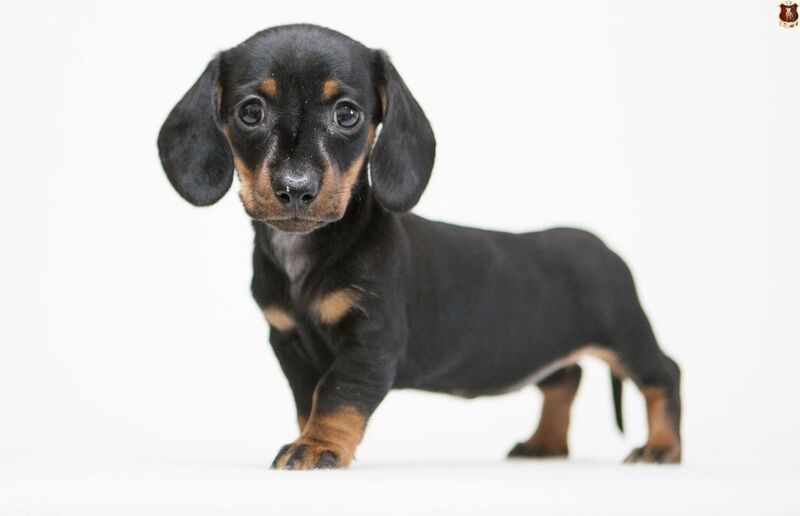 We have a litter of miniature dachshund smooth-haired! Available red girl! We have a litter of Hungarian Pointers! Free male for a show and hunting home! 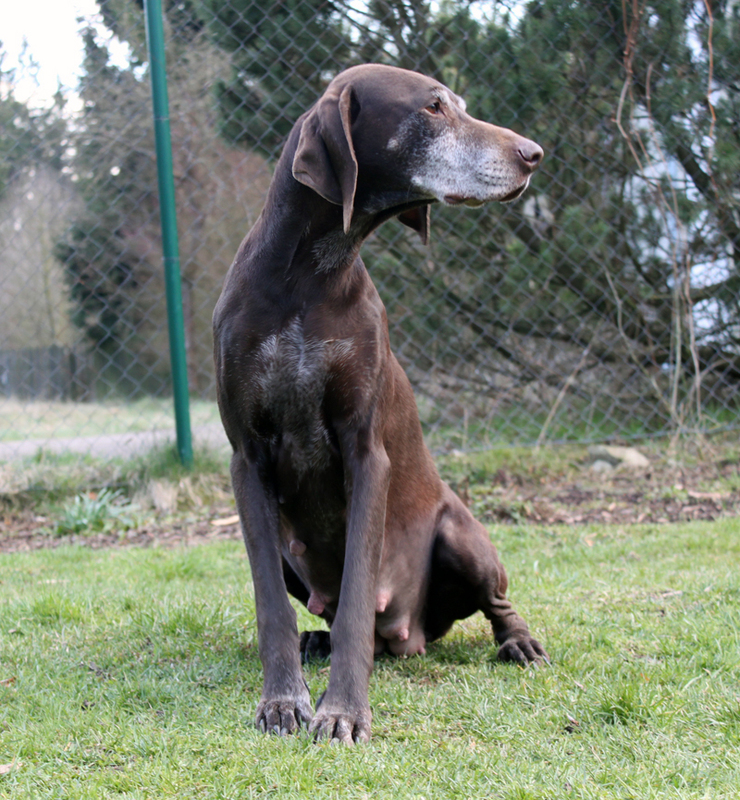 We are expecting a litter of German shorthaired pointers! Pregnancy is confirmed! Info here. Take a reseravations! 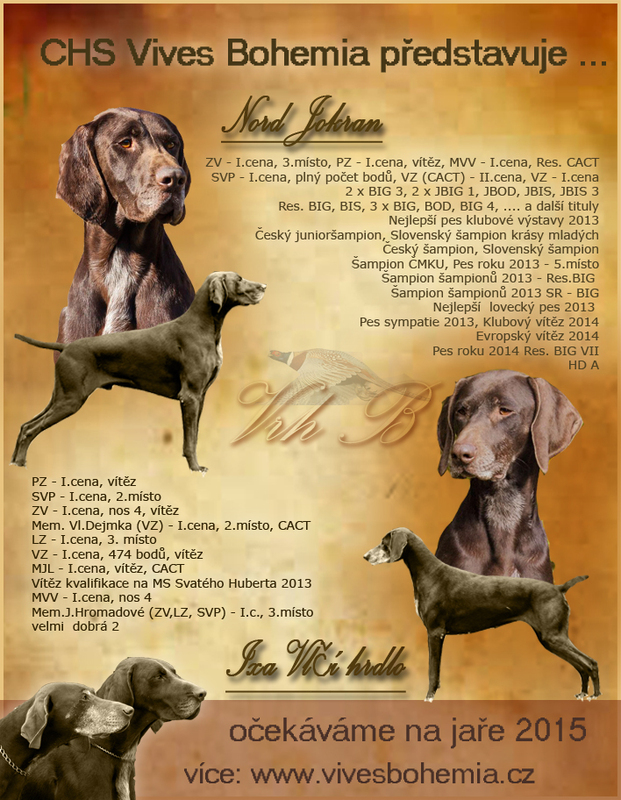 Our GSP Ria slowly begins to prepare on her first litter. In parturition about 10 days. It's up to her to see properly. More info about this litter here. 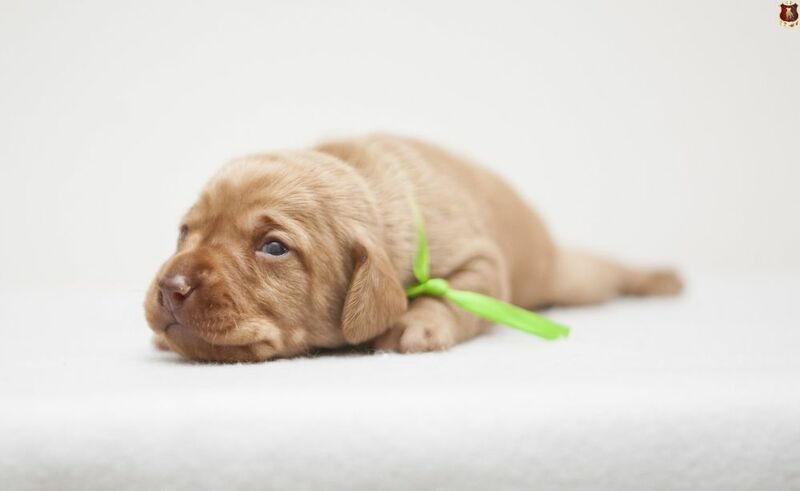 We take a reseravtion for the puppies from this litter. 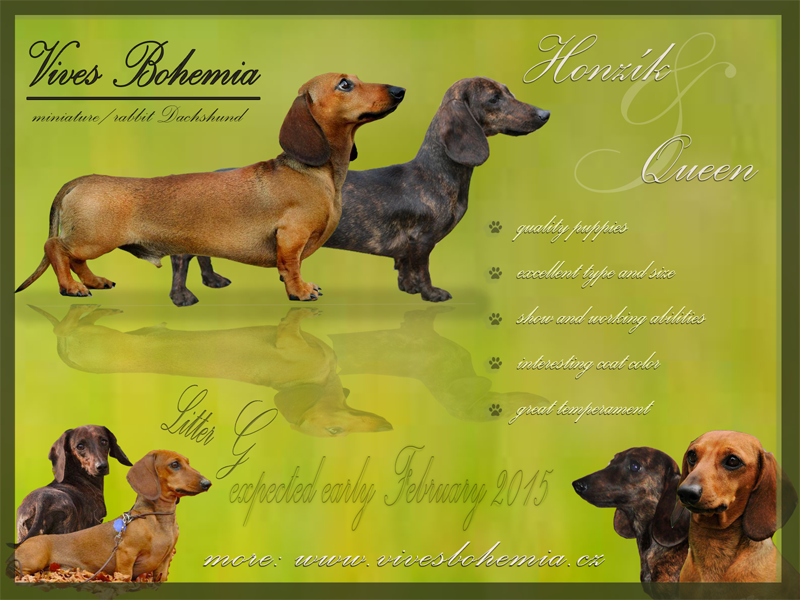 New photos of our dachstrio you can see here. 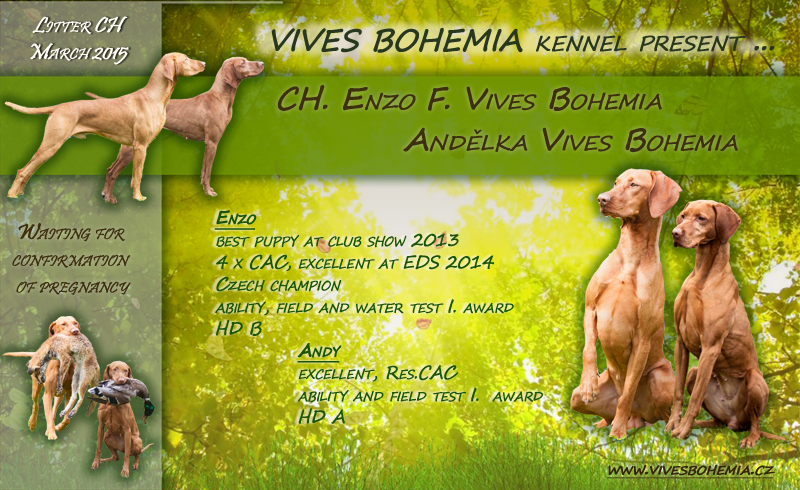 For the first "show standings" and portraits of girls thanks to Klára. To enter we still have a red female "Grapa". More info about this litter can be found here. Our "gingers" have 14 days. Already starting to peek into the world, they have passed the first adjustment claws and worming. They are nice and a little bit fat :-). More info about this litter here. The male of this litter is still free. More photos here. Fantasticky si vedla Fréa, která teprve ve věku 16ti měsíců dokončila tyto nejvyšší zkoušky v I.ceně a 481body!!! Na VZ v Litoměřicích zápolil náš Dollar a také potomek Arta - Bárny. Oba dokončili VZ v II.ceně (limitní známky) a stali se tak dalšími všestrannými ma´darky!